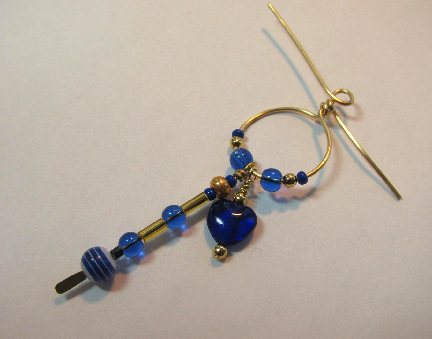 I made these cute little earrings for a friend for her Valentine's Day date, but it occurred to me that they would be a great springtime addition to anyone's earring wardrobe in any color desired. And to make it even better, they were soooo easy! 1. 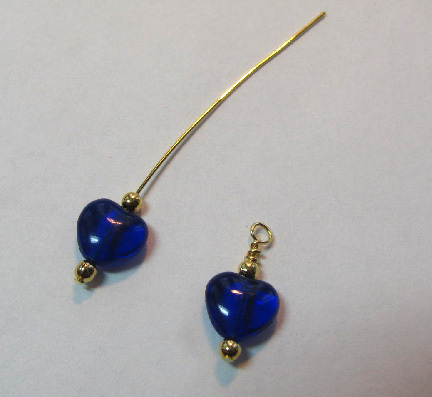 Thread a heart (or other shape) with some small spacer beads on a head pin. Turn a wrapped loop and clip the end. Repeat for the second earring. 2. 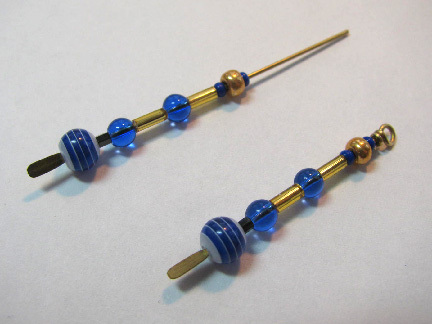 Using paddle shaped head pins, thread on some accent beads. Turn a wrapped loop with these as well. 3. 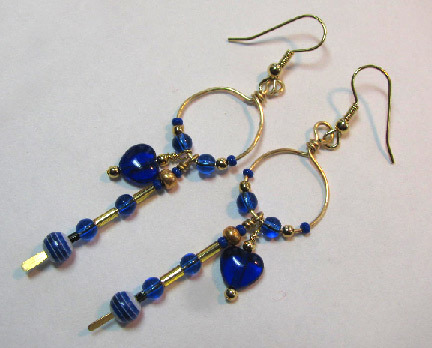 Take a piece of 18 or 20 gauge wire, about 5 inches long, and turn a circle with one end a bit shorter than the other. 4. Thread on the two pieces you made in steps 1 and 2, along with a couple more accent beads on each side of them. 5. Take hold of the longer wire end with chain nose pliers, and bent it at a 45 degree angle, aiming up and away from the beads. 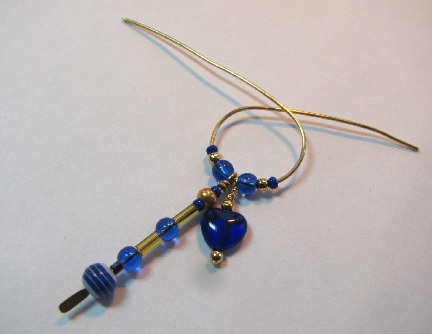 With the shorter wire end, wrap it two or three times around the longer end that you just bent. 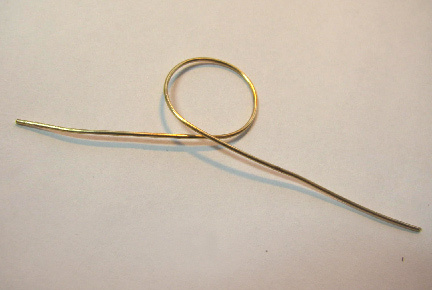 Using round nose pliers and chain nose pliers, turn a loop with the longer wire end. You can either wrap it as well, or just turn a simple loop. Clip off both ends and smooth with a file (not shown). 6. Add the ear wire of your choice. I chose shepherd's hooks. My favorite color! These turned out great. I saw these on Facebook. Very pretty and mod. Thanks for the step-by-step!